In episode 115 of the podcast astrologer Vic DiCara joins the show to talk about his use of the tropical zodiac within the context of Indian astrology, and some of the recent debates surrounding the subject among Vedic astrologers. Another astrologer named Andrew Foss published an article criticizing the use of the tropical by some Vedic astrologers. Vic recorded a video response on his YouTube page. Interested in talking about this debate from the perspective of an outsider. Background information on the debate, or setting the stage. At the present time, while most western astrologers use tropical, most Vedic use sidereal. Terminology preference? Indian, Vedic, Hindu, etc. Ernst Wilhelm published an influential article on this topic titled The Mystery of the Zodiac c. 2006. He argued that the zodiac was originally tropical in the earliest Indian tradition. My impression was that his argument was largely textual. More recently he seemed to say there was a large empirical component though as well. Since then others have followed, some students of Ernst, and others not. Ryan Kurczak, Michael Reed, and Vic DiCara. Vic heard the idea from Ernst, and made the switch in 2012. Points to the Surya Siddhanta and Bhāgavata Purāṇa as early textual support for tropical zodiac. One of Vic’s objections is that both are idealized 12-fold divisions. The sidereal zodiac does not fully align with the constellations, since they all vary in size, whereas sidereal signs are each 30 degrees. He points out that Ophiuchus is on the ecliptic. Thus, 13 unequal divisions. Therefore he argues that neither zodiac is the stars, but instead they are both divisions of space. Thus it becomes a question of how to divide space, and where to start. Tropical zodiac starts with equinoxes, sidereal with reference to a fixed star. Lahiri ayanamsha begins 0° Aries exactly opposite to the fixed star Spica. Some disagreements though about which ayanamsha to use. Vic says that even if one uses the “wrong” zodiac, that doesn’t invalidate everything. Vic and others still acknowledge that the nakshatras are sidereal, because they are tied in to specific fixed stars. A video version of this episode is available on my channel on YouTube here: The Tropical Zodiac in Vedic Astrology, with Vic DiCara. I’m so glad you are on this case. I remember finding Ryan Kurczak doing tropical vedics years ago and I haven’t let it go wondering who else is doing this. We could argue in forums for 1000 years… until we get 100 monkeys. 2012? I feel like I must’ve been following this doctrine since then but I know diddly about vedic. Excellent. Chris’s ability to hold the space needed for a clear-headed polemic is unparalleled. The work you and your guests are doing will power entire generations. Vic’s eloquence wrt “don’t kill the messenger” near the end encapsulates the struggle. There has been a movement in the West to practice Vedic astrology with a Tropical zodiac. People are free to practice whatever they want, but the adherents and followers of this movement have been claiming that ancient Jyotisha was intended to be Tropical. This is false. It is one thing to deviate from tradition and practice some other system, but it is against dharma to make false claims. The following quotes prove the falsity of these claims by those who deviated from the traditional use of a sidereal zodiac. “When the Sun began to turn south, i.e. when the summer solstice was at the middle of the asterism, Aslesa, the requirement of the definition that the Sun and the Moon should be in different ayanas was satisfied. But now the turning south takes place at three quarters of Punarvasu. Therefore, the definition has become faulty” (Pancasiddhantika chapter on Paulisa Siddhanta or 3.20 by Varahamihira ca. 1st century BCE). Varahamihira then proceeds to state that the first point of Aries and Libra are the spring and fall equinoxes in Pancasiddhantika 3.23 and that the Sun turns north at 0 Capricorn in 3.25, but we see he was stating the situation at his era, not defining these this way, when we revert back to 3.20 – which proves this. “If the tithis and naksatras as seen from observation of the sky agree with those computed according to the Sastra, then the Sastra is correct and fit to be accepted. It is not so in the case of Bhadravisnu’s work; still people do not turn away from that and follow the correct Sastras” (Pancasiddhantika 3.32). “If we adopt the days from epoch resulting from the tropical year as adopted by the Romaka and the Sun or Moon resulting therefrom, we must accept Punarvasu as the naksatra of the full moon of the month of Caitra, instead of the expected Hasta or Citra, Punarvasu which is the naksatra of Caitra-Sukla-navami. All the injunctions of the Vedas and Smrtis are based on the proper time, and by not performing the rites at those times the performer, especially a twice-born, acquires sin which is to be expiated. Therefore, a study of this Romaka itself is to be expiated. The person having correct knowledge of the Sun, Moon, etc. gets Dharma, which will take care of his future world, Artha which will ensure his prosperity in this world and fame, which will perpetuate his memory. But the bad astronomer who misleads people by his writings will certainly have to go to hell and dwell there” (Pancasiddhantika 3.35-37). “Certainly at one time, the summer and winter solstices were at the middle of Aslesa and the beginning of Dhanistha, respectively, because such has been mentioned in the ancient lore. But now the summer solstice is at the beginning of Cancer and the other one at the beginning of Capricorn. If at any time this is not conformed to, then there is a further change, which can be seen and measured by observation and examination” (Brhat Samhita 3.1-2 by Varahamihira ca. 1st century BCE). In regards to the astronomers of the siddhanta era, including Varahamihira, stating the beginning of the sign was at the solstices and equinoxes, the reason they did this is because that was the case in those days, when the tropical and sidereal systems coincided, but it is no longer the case today. Certain individuals discovered the lagna was calculated with the sayana or tropical zodiac. However, what was not known to the followers of this deviation from traditional Jyotisha, is that the calculation of the ascendant or lagna depended on the point where the ecliptic crosses the equator, this is the northward movement of the Sun at the moment of the northern hemisphere vernal equinox. In other words, astrologers of today, are not astronomers and when it was found that ancient astronomers were calculating the ascendant with the tropical zodiac they assumed this meant the planetary positions were also located with tropical. This is false. The followers of this notion of a tropical zodiac in jyotisha were generally not aware that the entirety of the ancient Western astrology, whether Egyptian, Zoroastrian, Chaldean, Hellenist, Persian, or any other culture, were using sidereal positions of planets, with only 3 known authors as exceptions to this. This fact was generally not known, and the advocates of tropical jyotisha seized on the existence of western tropical astrology to give support to the idea that sidereal astrology in jyotisha was actually a mistake and should have been tropical. The truth is that the only known authors in the ancient western world who advocated the start of the zodiac or 0 Aries to be located at the northern hemisphere vernal equinox were Hipparchus, Geminios, and Ptolemy. Even after Ptolemy most of Western astrology used sidereal positions for centuries (see e.g., the Persian Tables). The reader may be interested in reading: ‘Ancient Rejection and Adoption of Ptolemy’s Frame of Reference for Longitudes,’ by Alexander Jones. From, ‘Ptolemy in Perspective, Use and Criticism of his Work from Antiquity to the Nineteenth Century,’ Edited by Alexander Jones. 4 ] Manilius, Astronomica, (Loeb edition) Trans. G.P. Goold. Harvard/Heinemann; Bk.III, v.679-682. The ‘authority’ to which Manilius refers is presumably Hipparchus. “As for the likeness of their faces, they four had the face of a man [Aquarius], and the face of a lion [Leo], on the right side: and they four had the face of an ox [Taurus] on the left side; and they four had the face of an eagle [Scorpio]” (Book of Ezekiel 1.10). The reader will notice that Ptolemy was a theorist and he tried to give rationale for the ancient astrology texts he had access to, these ancient texts had the summer solstice located at the beginning of Leo. This is Ptolemy’s attempt to explain the rationale of the zodiac signs based on the ancient texts, notice he attributes heat to the luminary signs because the ancient texts had this placement, but Ptolemy himself located Gemini and Cancer on the summer solstice. Which brings me to the next point, when Tropicalists claimed the logic of the elements and orientation of the signs were attributable to a system which places Gemini and Cancer on the summer solstice, not only does this disagree with the ancient placements of early western astrololgy, but there is a contradiction here with the southern hemisphere, because Ptolemy goes further and writes about the coldness of the Saturn signs on the winter solstice, however this is the summer solstice in the southern hemisphere and it doesn’t even match the schemata of signs of the era of Ptolemy with Sagittarius and Capricorn on the winter solstice. Also, the ancient Persians (prior to the Hellenist era before Darius) had Taurus and the Pleiades as the start of the calendar, as well as the ancient Egyptians, which suggests a common date of around 2300 BCE with the texts Ptolemy used to write the Tetrabiblos. In actuality, the precession of the equinoxes, when discussed in a Jyotish context, should be referred to as ayana chalan, because the vedic era focused on the movement of the solstices against the stars, not the equinoxes; there are some references to the equinoxes but most of the vedic literature is concerned with the solstices since the full moon at the winter solstice was the samvatsara as mentioned in the vedic literature in various places and the focus was on the uttarayana and dakshinayana – not the equinoxes, generally speaking. It is doubtful if many tropical vedic astrologers know this. The reader may do an internet search for ‘Antiquity of the Vedic Calendar’ by K.D. Abhyankar, or ‘Pre-Siddhantic Indian Astronomy’ by K.D. Abhyankar. To better understand the previous point. There has been the claim made: because the Surya Siddhanta incorporated elements of the sayana or tropical zodiac, that, therefore, vedic astrology or jyotisha was intended to be tropical. This is false, and there is no evidence of tropical astrology in the ancient astrology literature or any surviving horoscopes. This false claim was based on a misunderstanding of astronomy by a few modern westerners who studied vedic astrology. The sayana or tropical zodiac is necessary for some calculations in astronomy, including, e.g. the calculation of the lagna, the rising times of signs, the solar year length, the directions, but the astrology itself, of Jyotisha, was entirely sidereal, and no evidence has been found suggesting otherwise. “I teach you the same ancient science, which the Sun himself formerly taught. (But) the difference (between the present and the ancient works) is caused only by time, on account of the revolution of the Yugas” (Surya Siddhanta 1.9). What this means, is that the siddhanta definitions and equations need to be updated from time to time on account of the changes in the cosmos over periods of time. 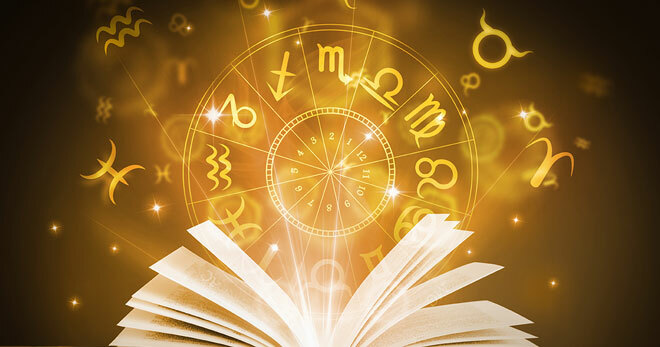 The advocates of Tropical Vedic astrology are following the astronomy which no longer applies to our era, like those who followed Ptolemy and Hipparchus. The siddhanta texts are not revealed divine knowledge or shruti. The siddhantas are the work of ordinary mortals (although originally they may have been divinely inspired) and they themselves state that their work needs to be updated from time to time. This is why Samanta Candrasekhara had to write the Siddhanta Darpana, which is the last of the siddhanta era texts. “…Bhagana means that revolution through the signs up to the end of the true place of the star called Revati” (Surya Siddhanta 1.27). “A Rasi (rasi means: heap of stars) consists of thirty degrees and just twelve Rasis make a Bhagana” (Surya Siddhanta 1.28). Surya Siddhanta 1.34 mentions sidereal revolutions. Surya Siddhanta 1.36-40 introduces savana days and compares them with sidereal revolutions and the Solar months (tropical). Surya Siddhanta 2.60-61 demonstrates the need for tropical measurement. Surya Siddhanta 2.62-68 demonstrates the use of both sidereal and tropical measurements. Surya Siddhanta 2.63 first presents the location of planets and then the location of stars, demonstrating they were treated with the same formula. Surya Siddhanta 3.1 & 3.6 demonstrate the need for different measurement systems. Surya Siddhanta 3.9 presents a trepidation model which demonstrates that the current version of the siddhanta was written by a mortal with erroneous knowledge, or it was merely a mathematical model..
Surya Siddhanta 3.10-11 uses precession of the equinoxes, but erroneously understood to be trepidation by the author of this current version, however they still prove the use of precession in the siddhanta. Surya Siddhanta 3.12-16 & 3.19 revert back to sayana calculations, demonstrating the need for both sayana and nirayana measurements. Surya Siddhanta 3.19 uses precession again to find the Sun’s true place and then reverts back to sayana measurements. Surya Siddhanta 3.19- 36 again demonstrate the need for the sayana in astronomy. Surya Siddhanta 3.41 is another mistake of the author and this is shown by Bhaskaracharya in the text ‘Goladhyaya’ demonstrating that this siddhanta is not divine revelation in its current form. Surya Siddhanta 3.37-44 demonstrate again the use of sayana. Surya Siddhanta 3.45-47 use nirayana (See Bapu Deva Sastri). Surya Siddhanta 3.48-50 again use sayana. Surya Siddhanta 4.1 is a mistake, again demonstrating the question of why anyone would consider this text to be divine revelation. Surya Siddhanta 4.8 demonstrates a different tradition from Jyotisha which uses sunrise as the start of day and not midnight. Which again raises the question of why any jyotishi would refer to the Surya Siddhanta as an authority along the lines of shruti. Surya Siddhanta 4.25 again demonstrates the need for sayana in astronomy. Surya Siddhanta 5.3 demonstrates the need for sayana measurements in astronomy. Surya Siddhanta 5.8 is a mistake, again calling into question the current version of the text. Surya Siddhanta 7.7-8 & 7.10 demonstrate the need for sayana measurements in astronomy. Surya Siddhanta 7.13 is a mistake, again calling into question the validity of referring to this text as any type of authority. Surya Siddhanta chapter 8 is entirely sidereal except for part of sloka 14, demonstrating again the need for both nirayana and sayana measurements in astronomy. Surya Siddhanta 9.4-5 demonstrate again the use of sayana measurements in astronomy. Surya Siddhanta 9.10-11 demonstrate again the use of sayana measurements in astronomy. Surya Siddhanta 9.12-18 demonstrate the use of both sayana and nirayana and the need for both in astronomy. Surya Siddhanta 10.5 demonstrates the use of sayana in astronomy. Surya Siddhanta 11.1-2 demonstrate the use of sayana in astronomy. Surya Siddhanta 11.6 uses nirayana in astronomy. Surya Siddhanta 11.7-8 uses both sayana and nirayana measurements. Surya Siddhanta 11.17-20 use sayana and revert back to nirayana in 11.21. Surya Siddhanta 12.23 with the commentary of Bapu Deva Sastri gives a better understanding of the elements in astrology, than Ptolemy’s revisionist botched and bungled “logic” of the signs of Tetrabiblos 1.17, although the siddhanta does not attempt to explain them in relation to signs. Surya Siddhanta 12. 25: “Again Brahma, of subdued passions, divided a circle, invented by himself, into 12 parts, naming it the Rasi vritta, and the same circle into 27 parts naming it the Nakshatra vritta.” Demonstrating the identical system of rashis and nakshatras, i.e. nirayana frame of reference. Surya Siddhanta 12.42 demonstrates the need for sayana measurements in astronomy. Surya Siddhanta 12.45 demonstrates the age of the text in its current version is from when the sayana and nirayana coincided, i.e. this version is only about 2000 years old. Surya Siddhanta 12.47-48 demonstrate the need for sayana measurements in astronomy. Surya Siddhanta 12.51-52 demonstrate the deviation from the vedic era of using solstices rather than equinoxes as is done here, which calls into question why anyone would consider this text to be authoritative. Although, there is evidence of a civil calendar starting at the full Moon near the autumnal equinox, in reference to Krittikas, etc. Surya Siddhanta 12.57-61 demonstrate again the need for sayana in astronomy. Surya Siddhanta 12.63-69 demonstrate the need for sayana measurements in astronomy. Surya Siddhanta 12.72 is a mixture of both nirayana and sayana. Surya Siddhanta 12.73 is nirayana. Surya Siddhanta 12.80 references to nirayana. Surya Siddhanta 13.5-9 is a mixture of nirayana and sayana measurements. Surya Siddhanta 13.10-11 is sayana only because the sayana and nirayana coincided at the time this version of the siddhanta was written. Surya Siddhanta 13.14-15 requires the use of sayana. Surya Siddhanta 14.1-2 demonstrate the need for both nirayana and sayana measurements regarding time. Surya Siddhanta 14. 3 demonstrates the coinciding of the nirayana with the sayana at the time the sloka was written. Surya Siddhanta 14.7 again demonstrates the lack of the ideal in nature with ideal math. Surya Siddhanta 14.9 demonstrates the era this text was written when the sayana and nirayana coincided. Surya Siddhanta 14.10 uses sayana. Surya Siddhanta 14.15-17 uses sidereal. Surya Siddhanta 14.23 is a mixture of sayana and nirayana, again demonstrating the use of both when they happened to coincide with each other. What this demonstrates is that the sayana or tropical frame of reference is one of the necessary components of astronomy calculations, but the positions of the planets were placed in the sidereal zodiac or longitudes based on the stars. Do not be misled against the tradition. If some people are partial to the idea of using the tropical zodiac to position planets, then that is their prerogative, but they should not mislead others into thinking ancient Jyotisha used a tropical zodiac for planetary longitudes. People are free to use any divination method whether goat entrails, yarrow stalks, tortoise shells, etc., even the tropical zodiac, however, it is a falsity to claim Jyotisha was intended to be a tropical based system. Thus far, none of the proponents of tropical vedic astrology have been able to provide evidence of tropical astrology used in Jyotisha. All of the attempts made to do so have been failures. Please give the Sanskrit for the references from Varāhamihira. As it appears from the translation you have quoted, what is obvious is that he realizes that the equinotical points and rashi drift in relation to the nakshatra. The sanskrit has to be examined rather than the translation. For further clarity, really a critical edition of the Sanskrit should be established. But at least let us have whatever Sanskrit you have for it. As for the references from Sūrya Siddhānta, I fully agree that it uses both tropical and sidereal things. The whole point of my system is that sidereal calculations are for nakshatra coordinates and tropical calculations are for rashi coordinates, and ayanāṁśa is the translation between the two. You claim that the relation of cardinal signs to the cardinal directions established by the Sun’s cardinal points vis the equator is merely an observation, and that the positions of the stars relative to these signs is the defining factor. I believe exactly the opposite, because (A) the fundamental structure of the signs (IE the number, size, ruler, element, and modality) is only rational with reference to the Sun’s cardinal points, (B) the statements about the correlation of nakshatras (stars) to rashis (signs) are not worded as definitions, they are worded as observations. SS 14.7 for example, is talking about what is at the most important core of what makes the signs – the wording is explicit there in the words nabhi, sūtra, and prathitāstuta. It is too late in life for me to become well versed in Indian Horoscopic Astrology, but I love to consider the perspectives it offers – and I particularly appreciate hearing the viewpoints of astrologers who have a genuine working knowledge of the field, in all its complexity. Thank you, Chris and Vic, for a wonderfully engaging and enlightening discussion. Don’t worry Debbie, you are not alone. You can put up a sign advertising yourself as a jyotishi, and you will fit right in. Did you know there are no credentials necessary to work and teach, in the field of Jyotisha in the West? It won’t do to cite a siddhanta that was composed when the sidereal and tropical zodiacs coincided, nor religious texts that retained the symbolism similarly as the Book of Ezekiel quoted previously. It will be necessary to demonstrate from the vast amount of astronomical and ganita texts, from ancient times through classical times, when this alleged “mistake” was made by those who specialized and were trained in technical Jyotisha. The corollary of Vic’s claim is that: the jyotishis in India who created planetary tables, were so ignorant they didn’t understand their own subject matter and made a huge “mistake”. The following quotes are all from one combined text titled: ‘Translation of the Surya Siddhanta by Pundit Bapu Deva Sastri and of the Siddhanta Siromani by the late Lancelot Wilkinson, Revised by Pundit Bapu Deva Sastri From the Sanskrit’ Calcutta 1861. This text is in the public domain, and no copyright rules apply. “Are the GHATIKAS used in finding the LAGNA, GHATIKAS of sidereal or common SAVANA time? If they are SAVANA GHATIKAS, then tell me why are the hours taken by the several signs of the ecliptic in rising, i.e. the RAS’YUDAYA which are sidereal, subtracted from them, being of a different denomination? If on the other hand you say they are sidereal, then I ask why, in calculating the LAGNA for a period equal to a whole SAVANA day i.e. 60 sidereal GHATIKAS and 10 PALAS, the LAGNA does not correspond with, but is somewhat in advance of, the Sun’s instantaneous place; and then why the Sun’s instantaneous place is used in finding the LAGNA or horoscope. * [For answers to these questions see the note on the 27th verse of the 7th Ch. – B.D.” (13.37 or page 250). “Even clever men are frequently led astray by conceit in their own quick intelligence, by their too hasty zeal and anxiety for distinction, by their confidence in others and by their own negligence or inadvertence, when it is thus with the wise, what need I say of fool? […]” (9.25 or page 205). “From the vernal equinox mark the 12 signs in direct order, and then let diurnal circles be attached at the extremity of each sign” (6.28 or page 160). Note: this is the tropical zodiac circle which was used to calculate rising times, etc., in jyotisha. At the equator, the [six] signs from Cancer or descending signs incline whilst they rise to the northerly direction, but they will have upright direction in consequence of the northern latitude, hence they rise in longer times [than they do at the equator.] The difference between the period of the rising of a sign in a given latitude, and at the equator under the same meridian, is equivalent to the CHARAKHANDA of that sign” (7.17-18). Note: the technical jyotisha literature used 2 circles with the same 12 sign division, one was used for necessary tropical measurements, and one was used for necessary sidereal measurement. That is why this “argument or discussion” has been astoundingly ignorant. *[When the place of the horoscope is to be determined at a given time it is necessary at first to ascertain the height and longitude of the nonagesimal point from the right ascension of mid-heaven, and then by adding 3 signs to the longitude of the nonagesimal point, the place of the horoscope is found: but as this way for finding the place of the horoscope is very tedious, it has been determined otherwise in the SIDDHA’NTAS. As, from the periods of risings of the 12 signs of the ecliptic which are determined in the Siddhantas, it is very easy to find the time of rising of any portion of the ecliptic and vice versa, we can find a portion of the ecliptic corresponding to the given time from sun-rise through the longitude of the Sun then determined and the given time. The portion of the ecliptic which can be thus found is evidently that portion of the ecliptic intercepted between the place of the Sun and the horizon. Therefore by adding this portion to the place of the Sun, the place of the horoscope is found. Upon this principle, the following common rule which is given in the SIDDHANTAS for finding the place of the horoscope is grounded. Find first the true place of the Sun, and add to it the amount of the precession of the equinox for the longitude of the Sun. Then, from the longitude of the Sun, the sign of the ecliptic in which the Sun lies and the degree of that sign which he has passed, and those which he has to pass, are known. Thus the degrees which the Sun has passed, and those which he has to pass, are called the BHUKTANS’AS and BHOGY’ANS’AS respectively. Now the time which the Sun requires to pass the BHOGY’ANS’AS is called the BHOGYA time, and is found by the following proportion. In the same manner, the BHUKTA time can also be found through the BHUKTANSAS. Now from the time at the end of which the horoscope is to be found, and which is called the ISHTA or given time, subtract the BHOGYA time just found, and from the remainder subtract the periods of risings of the next successive signs to that in which the Sun is as long as you can. Then at last you will find the sign, the rising period of which being greater than the remainder you will not be able to subtract, and which is consequently called the AS’UDDHA sign, or the sign incapable of being subtracted, and its rising period, AS’UDDHA rising. From this it is evident that the AS’UDDHA sign is of course on the horizon at the given time. The degrees of the AS’UDDHA sign which are above the horizon and therefore called the BHUKTA or passed degrees, are found as follows. : the passed degrees of the AS’UDDHA sign. Add to these passed degrees thus found, the preceding signs reckoned from the 1st point of Aries, and from the Sum, subtract the amount of precession of the equinox. The remainder thus found will be the place of the horoscope from the stellar Aries. If the time at the end of which the horoscope is to be found, be given before sunrise, then find the BHUKTA, or passed time of the sign in which the Sun is, in the way shown above, and subtract it and the rising periods of the preceding signs from the given time. After this find the degrees of the AS’UDDHA sign corresponding to the remainder of the given time which will evidently be the BHOGYA degrees of the horoscope by proportion as shown above, and subtract the sum of the BHOGYA degrees of the horoscope, the signs the rising periods of which are subtracted and the BHUKTA degrees of the sign in which the Sun is from the Sun’s place and the remainder thus found will be the place of the horoscope. Thus we get two processes; one when the given time at the end of which the horoscope is to be found, is after sun-rise, and the other when that time is given before sun-rise, and which are consequently called KRAMA, or direct, and VYUTKRAMA or undirect processes respectively. It is plain from this that if the place of the Sun and that of the horoscope be known, the given time from sun-rise at the end of which the horoscope is found can be known by making the sum of the BHOGYA time of the sign in which the Sun is and the BHUKTA time of the horoscope and by adding to this sum the rising periods of intermediate signs. – B.D. ]” (7.27 or pages 166-67). There are further explanations in the text, including comparing the Siddhanta Siromani with the Surya Siddhanta. The serious student will need to also see page 168 and then page 29 of this text with both texts together and with the commentary of a learned jyotishi, as enough was quoted already. If certain persons would have studied the available technical astronomy and mathematical jyotisha texts, through the help of learned commentaries or teachers, they would not have misled many people into thinking that sidereal jyotisha was a “mistake”. The Surya Siddhanta cannot be used in isolation, and it was never intended to be utilized without auxiliary instructions. Ernst Wilhelm. I have been practicing Vedic/Hindu astrology for more than 40 years using Sidereal zodiac. It is only a few days ago I discovered that some astrologers in the west are using Vedic astrology with tropical zodiac. I think it is not very helpful to prove which one is right or wrong mathematically. I believe in the deductions of the correct results. If Vedic astrology with tropical astrology gives better interpretation, I will not hesitate to switch from sidereal to tropical. I hereby propose a chart and invite both groups to study this chart and provide me the quality of the life of this person. Name: Aashish, DOB: April 24, 1984, TOB: 7:10PM, POB: Bangkok, Thailand. I hope Varun and Vic Dicara and others take a note of this challenge. Varina included the link in am earlier comment, but said comment was, um, verbose, and the discussion b/w Martin Gansten and Vic is illuminating.